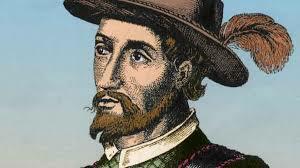 The legendary Spanish conquistador Juan Ponce de León (1460-1521), like many of his contemporaries, sought fame and fortune through exploration of the New World. He settled in Hispaniola (now modern day Dominican Republic) before becoming the governor of Puerto Rico for 2 years before being replaced by Christopher Columbus’ son, Diego. Forced to sail once again, he allegedly heard native tales of a mythical ‘fountain of youth’. He explored many parts of the Bahamas and is believed to have landed in 1513 near the present-day town of St. Augustine in northeast Florida. He named this newly ‘discovered’ land Florida from the Spanish word ‘florido’ meaning ‘full of flowers’. He continued his explorations throughout the Florida coast and Florida Keys, but died never having found the elusive fountain of youth. Everyone instinctively knows what it means to age, but science, to successfully tackle any problem, requires an accurate definition. Aging may be viewed in several different ways. First, aging manifests by changing appearances. Grey hair, wrinkled skin, or other superficial changes signal underlying age. These may reflect underlying physiologic changes, like decreased pigment production in hair follicles or the decreased elasticity of the skin. Cosmetic surgery changes appearances but not the underlying physiology. Second, aging may be viewed a loss of function. Over time, women have decreasing fertility until it ceases completely during menopause, in a process largely determined by age. Bones become weaker increasing the risk of fractures such as hip fractures, which are rarely seen in young people. Muscles becoming weaker explaining why champion athletes and bodybuilders are young. Third, at the cellular and molecular level, response to hormones decreases with age. The mitochondria, the important cellular components that produce energy and are commonly known as “the powerhouses of the cell”, become less efficient and less able to produce energy. The declining efficiency of the aging body results in higher rates of illness and disease. One important damage-repair mechanism is called autophagy. 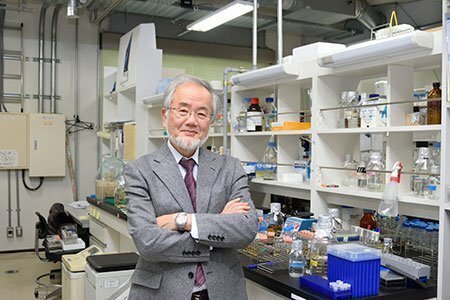 The 2016 Nobel Prize in Medicine was awarded to Yoshinori Ohsumi for “his discoveries of mechanisms for autophagy” underscoring how vital this process is. In autophagy, cellular parts called ‘organelles’ are broken down and recycled periodically as part of a wide-ranging quality control system. Just as a car needs regular replacement of oil, filters and fan belts, a cell must replace its organelles regularly to maintain normal function. As cellular organelles pass their expiration dates, the body ensures that old organelles are removed and replaced with new ones, so that there is no residual damage that impedes function. One of the key discoveries of the last quarter century is that these damage control procedures are heavily influenced by the foods we eat. But why do we age at all? Evolution by natural selection works at the level of genes, not individual organisms. We all carry thousands of different genes, and pass them on to our children. Genes best suited to their environment survive better, which lets them produce more offspring. Over time, these beneficial genes become more widespread in the population. Age plays a large role in determining the effect of a gene on the population. 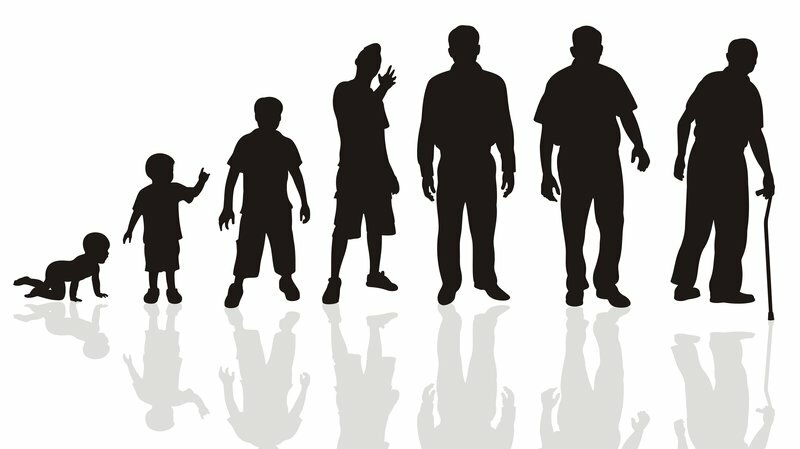 A gene that is fatal at age 10 (before having children) will be rapidly eliminated from the population, since the person bearing that gene is unable to pass it on to children. A gene that is fatal at age 30, will still be eliminated (albeit more slowly), because people without the gene have more children. A gene fatal at age 70 may never be eliminated because the gene will have passed into the next generation long before it manifests its deadly effects. Viewed in this manner, the fight against the ravages of aging, is thus a fight against nature. Aging is completely natural, although the extent and speed is variable. Living and eating completely in tune with nature does not prevent aging. Nature and evolution do not ‘care’ about your longevity, only your gene’s survival. In a sense, we must look beyond nature to slow or prevent aging. Shockingly, and almost without precedent in human history, children today may live a shorter lifespan than their parents. The 20thcentury witnessed huge steady advances in medicine and public health that have significantly increased average life expectancy. But recently an epidemic of chronic diseases threatens to slow or reverse that enviable record. Before the modern industrial era, with its advances in sanitation and medicine, infectious diseases were the main natural causes of death. In the United States in 1900, life expectancy at birth for a man was 46 years, for a woman 48 due largely due to the high infant and childhood mortality. But those who survived to maturity actually had a good chance of surviving to older age. The top 3 causes of death in 1900 were all infectious in nature – pneumonia, flu, tuberculosis, and gastrointestinal infections.These infectious diseases can affect any age although children and the elderly are especially vulnerable. Today’s situation is different. The top two causes of death are cardiovascular and cancer related deaths, both diseases tightly correlated to age. Cardiovascular disease, which includes heart disease and stroke, is the #1 cause of death in the U.S. accounting for 1 in 4 deaths and its incidence increases dramatically with age. Children rarely suffer a heart attack, but by age 65, the majority of men have some form of cardiovascular disease,(age 85 for women). The story is the same for cancer. Children and young adults each account for only about 1% of new cancer cases each year. Adults aged 25 to 49 account for about another 10%, whereas people aged 50 and above account for around 89% of all new cancer cases. Other diseases clearly linked to aging include cataracts, osteoporosis, type 2 diabetes, Alzheimer’s and Parkinson’s diseases, kidney disease. These diseases of aging are responsible for approximately two thirds of the roughly 150,000 people who die around the world every single day. These are diseases that affect hardly anyone under the age of 40. In the industrialized West, the proportion of people who die from aging-caused diseases approaches 90%. As modern medicine conquered or reduced many infectious diseases like small pox, one consequence of its very own success is an aging population with its inherently higher risk of chronic diseases such as cancer, cardiovascular disease, autoimmune disorders, and diabetes. But that’s not the whole story. The rise of seemingly unstoppable and unparalleled obesity and type 2 diabetes epidemic is putting our health at increasing risk of cancer and heart disease. There are many dietary and lifestyle modifications you can adopt to reverse this risk of chronic disease. Aging is the slow accumulation of cellular damage due to a decreasing ability to repair it. This results in a low-level of inflammation, so characteristic of aging it’s been termed “inflammaging”. Oxidative stress, a condition in which free radicals overpower the body’s internal antioxidant system, rises with age. But you can make lifestyle changes today that can increase the odds of healthy aging. You can increase not just your lifespan, but your ‘healthspan’. Nobody wants to spend their last years frail, sick and in a nursing home. We discuss more about the dietary determinants of aging in The Longevity Solution. The prevention of aging is about longer years of healthy life, free of disease and other drawbacks of old age, vigorous and energetic, with an enthusiasm for life and living. Longevity means extending youth, not extending old age. Regarding smallpox, have you read this book Dr Fung? I have a conspiratory view on medicine and world affairs in general today, and I believe I have good reason.